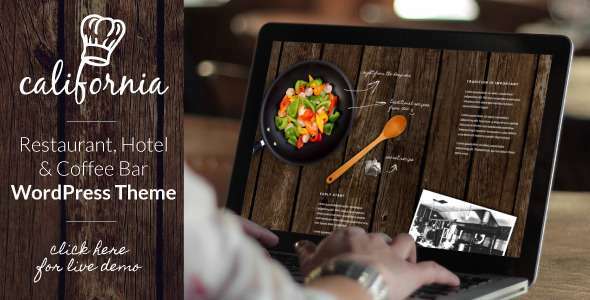 The month of February is about to come here in this post freakify brings out a list of Best Premium WordPress Themes for February 2014. We are all expecting that this year will be great for WordPress and are expecting new and advance development in themes, plugins and widgets. So, guys what are you waiting for??? 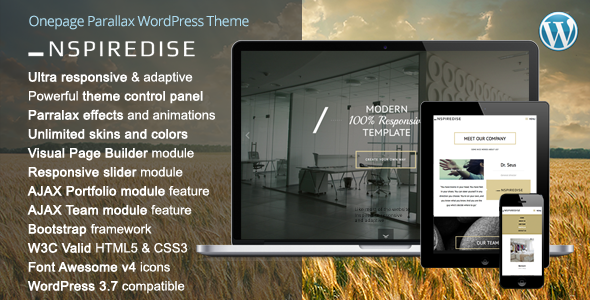 Just pick up a theme and give your website a new modern look. This list is fully arranged with complete requirements which our readers or visitors should need to make their websites. This theme has two major advantages i.e. it is a very functional and intuitive in use. It is an in-built WooCommerce functionality. It can extended shortcodes and widgets pack. It can form Builder and have two Sliders inside. 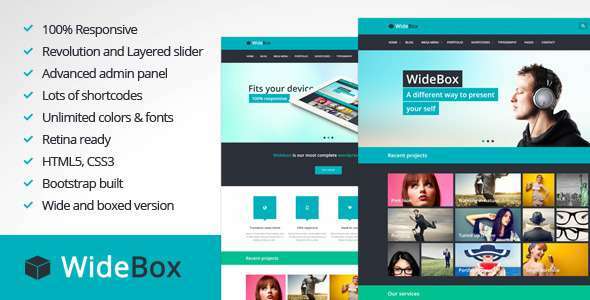 It is fully responsive design and has boxed or wide layout. It has unlimited colors as well as premade skins. Retina ready.Its very easy to use and has powerful theme options. It consists of typography and styling settings. It is fully responsive. It designs of HTML5 and CSS3 tableless. It has working contact form. It is of course and event post type. It has HD video tutorials and compatible browsers like IE8+, Firefox, Safari, Opera, Chrome. also included documentation. It is dedicated support and included XML demo content, HTML template and PDF Files. It is responsive and retina ready. Have graphically shortcode generator and lots of shortcodes. It is slider supported, have social icons and blog options. 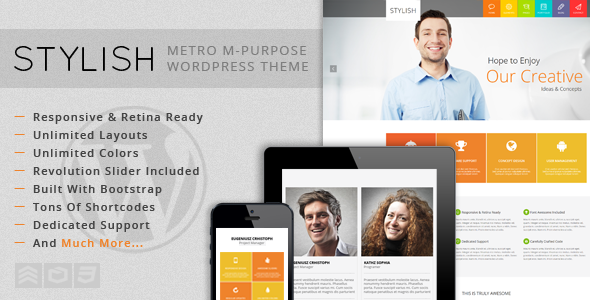 This theme is 100% responsive. 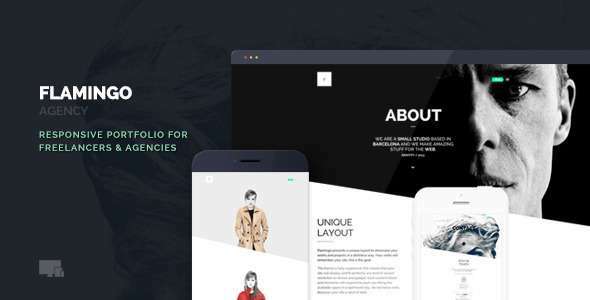 DEMO Content Package and PSD of basic elements included. 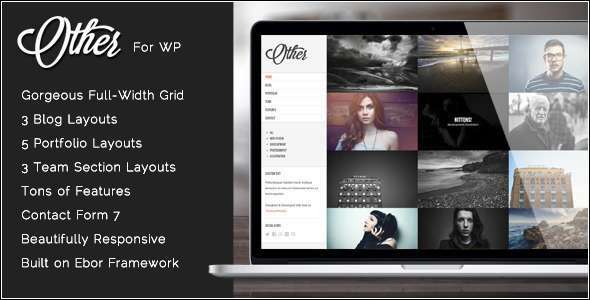 Easy page customization and contain of Filterable Gallery With Images and Videos. It has social media icons and page preloader. This theme is clean and modern designed. Fully responsive and 100 % retina ready. Its full RTL support. 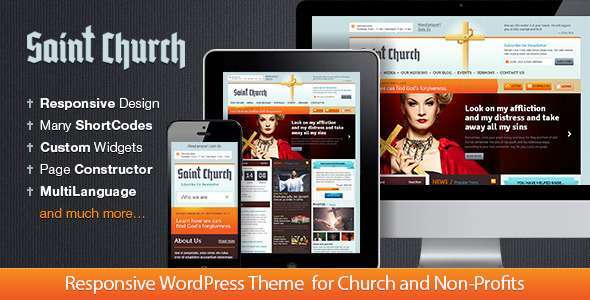 It is fully compatible with WordPress 3.7+. 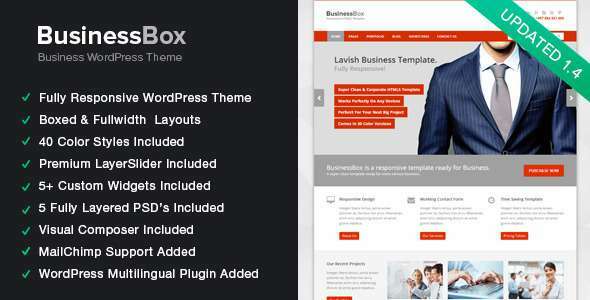 It has multiple layouts, Multiple Header Design, Comprehensive Admin Panel and many more. 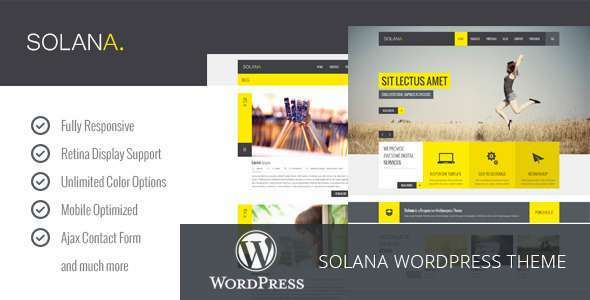 WordPress 3.5, 3.6 and 3.7 tested, have clean and modern design, new background videos and new 1000+google fonts available. It is 100% responsive. And have white lable theme options and built with HTML5 and CSS3. 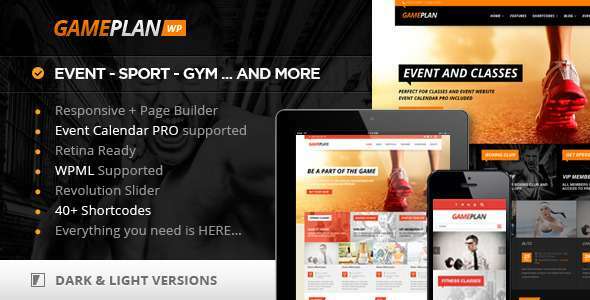 It is a Premium WordPress 3.5+ parallax Onepage theme, has visual page builder module with 40+aontent elements included with theme, extre powerful theme control panel module with 100 + options and features. It is 100% ultra responsive and has unlimited colors & skins. It is Retina ready theme. This is an excellent theme. 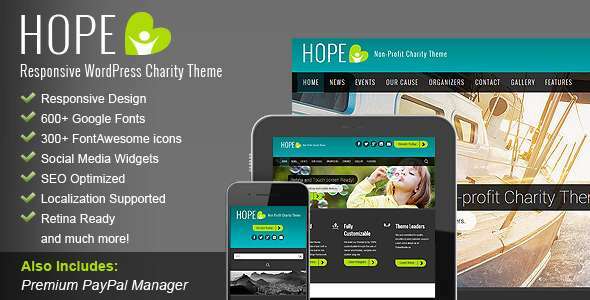 It is responsive WordPress theme for non profit organizations. Its page constructor makes your work much easier. It has multiple shortcodes like text markers, Event Countdowns, toggles and tables etc. 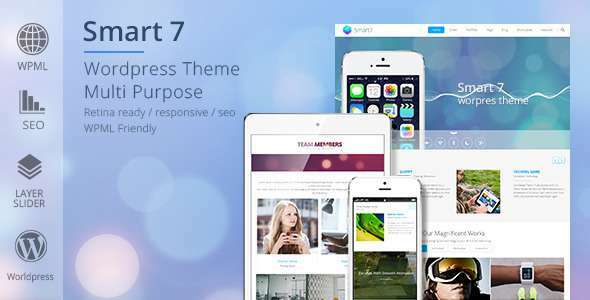 This theme is fully responsive design. Pick your own fonts from 500+, including google fonts. It has color picker foe easy accent customization. Staff management, services management and feedback & Testimonials also included. It has several widgetized areas and appointments widget. It has retina ready, mega menu, sticky menu, 4 heading views and image shortcode for megamenu. It also has Unique modern clean design. 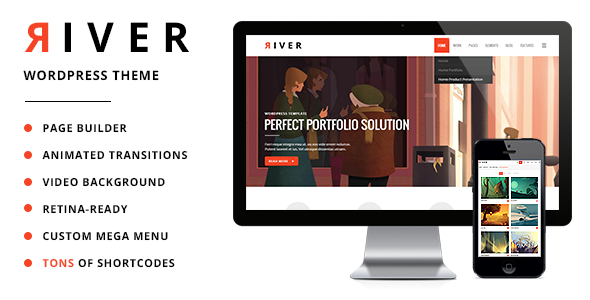 It is fully responsive, well documented and portfolio filter and much more. 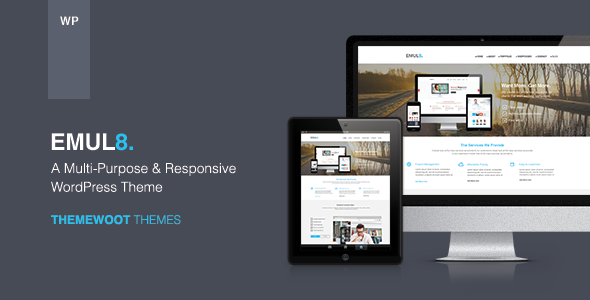 This theme is 100% responsive. It is retina ready and fully customizable. It has 5 minute setup. It has translation, google fonts and outatanding customer support. It is 100% responsive. It supports social icons.The ads ready in it. It support two menus, one of them is unlimited dropdown. It supports contact shortcode and google fonts. It has well documentation. It is fully responsive designed, has sticky navigation ON/OFF. It has a lot of elements, custom backgrounds, filterable portfolio, multiple sidebars and custom menus. Consists of simple and modern design, 40 color option, and custom fonts. 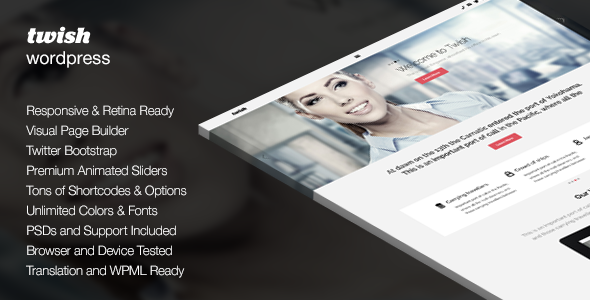 Magnus has 10+ preset Styles, drag and drop page builder, slider revolution, and translation ready. It has mailchimp integration, widget variation and fashion & style widget, layout options, RTL Support, Logo editing, IcoMoon free version. It is a retina ready, advanced admin panel, and fully responsive. There is Slider Revolution included. It is boxed and wide, Dark and Light versions. It has customized background with solid colors, patterns or full size image. It has clipart that you can see the screen shots. Its a wonderful graphic artist. have clean modern design and unlimited colors. 10 free HR photos and Google web fonts are available. Its a responsive design and has Woo Commerce. It has more than 600 fonts from Google Web Fonts. has Drop down menu, ajax filtering portfolio, easy logo replacement, and dynamic sidebar generation functionality. 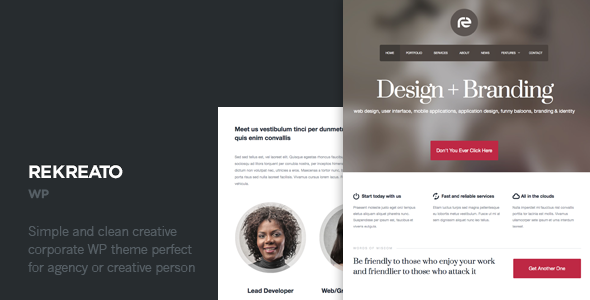 It consists of multiple types of making thumbnails, Left or right sidebar, and full width page. 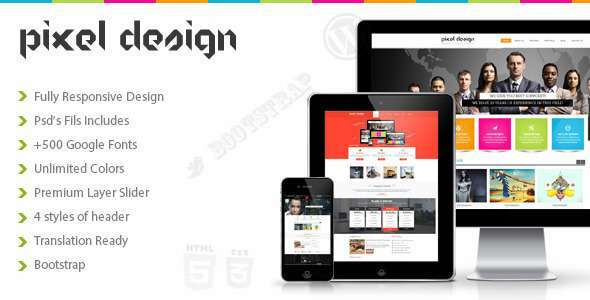 Its responsive and retina ready design. It is easy to use and intuitive, has beautiful CSS3 animations and transitions. It makes use only of the theme customizer. You can choose between a text logo or a custom image logo. It include HTML5 and CSS3. Its 100% fully responsive. 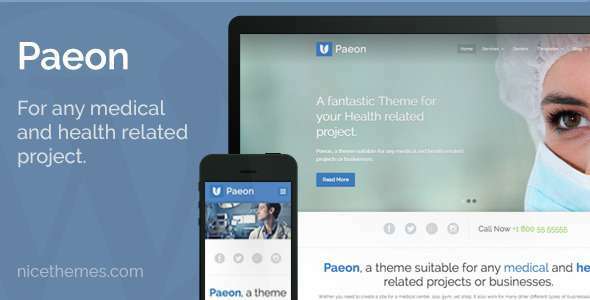 Its SEO is optimized, has 250+ theme options, awesome Shortcode Generator, and 3 Header styles. It has unlimited colors, live color customization and unlimited sidebars. It is translation ready. It is compatible with WordPress 3.8x. It is responsive and retina ready. It has a option of drag and drop page builder. It has a powerful admin interface, 40+ shortcodes, 3 ready made skins and unlimited color options. It has WordPress 3.6 compatible. 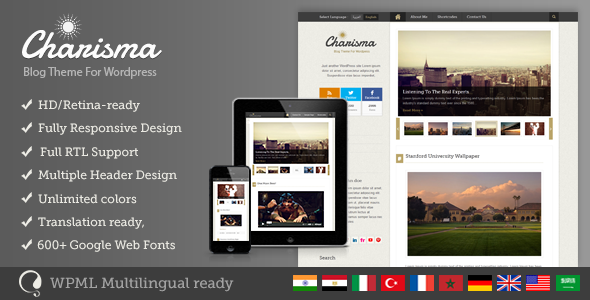 It is clean and modern design, fully responsive, retina ready with high resolution graphics. containing HTML5 and CSS3. 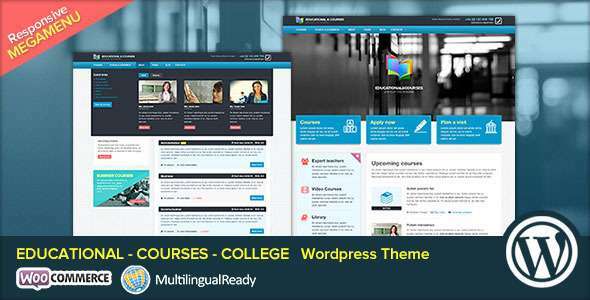 It has advanced theme options offered through the options framework. It is super fast and easy way to create your site. It has fully customizable header, fully customizable Mega Menu and AJAX animation ON/OFF. 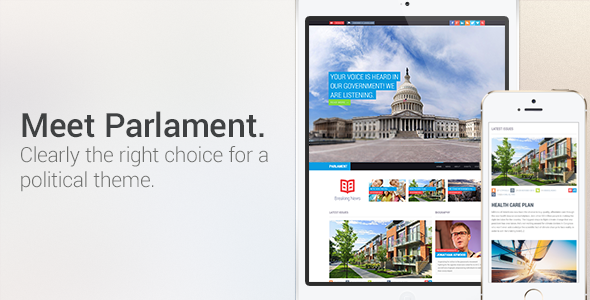 It contains on interactive elements, Bonus Parallax pages, portfolio, and custom post formats. It has easy to use powerful admin interface. 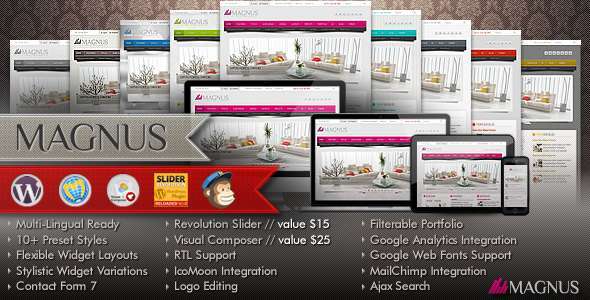 It is a dedicated support and has unlimited layouts, unlimited colors, 12 pre-made Slideshows. 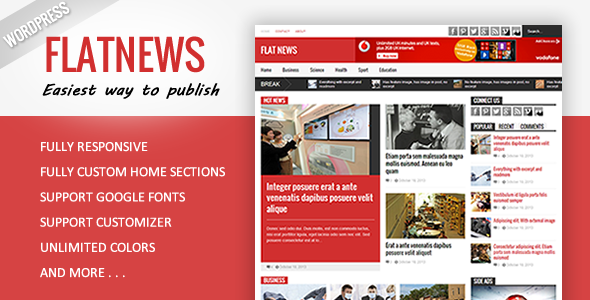 It is Mega responsive, Retina ready, Translation ready and WPML compatible. It has SEO optimized, post formats, unlimited portfolio page and layer slider. It has WordPress 3.7.1+ ready. 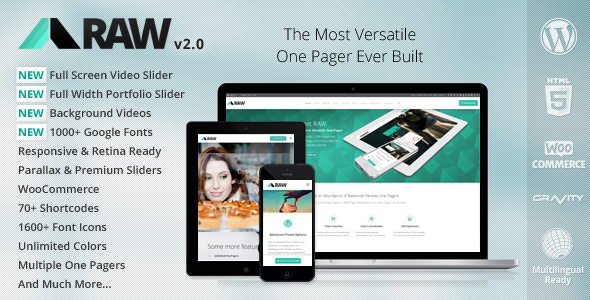 It has aqua page builder. It is full internationalization supported. It is fully translatable. It has great documentation, 3 blogs, team layouts, 5 portfolio layouts, SEO ready, Google fonts, and scrolling animation. It is responsive design and retina ready. 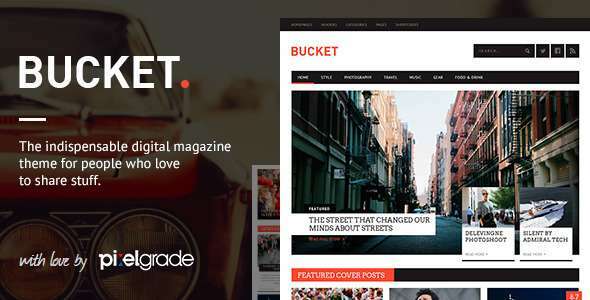 It has unlimited colors, over 700 Google Web Fonts, Extensive theme options and Framework3. 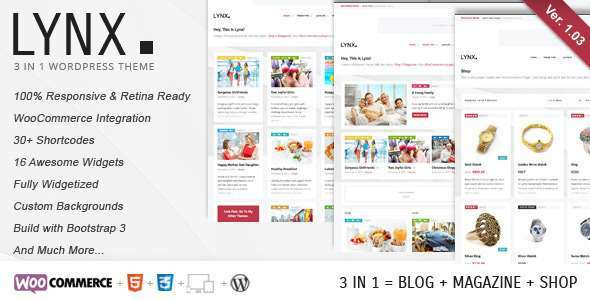 It has custom page builder, Social and SEO optimized and 8 custom designed widgets. It is responsive of course. It has 5 different navigations, Two of the five navigation options with sticky/fixed versions, Three different content layouts and custom animations. Its localization ready and WPML support. 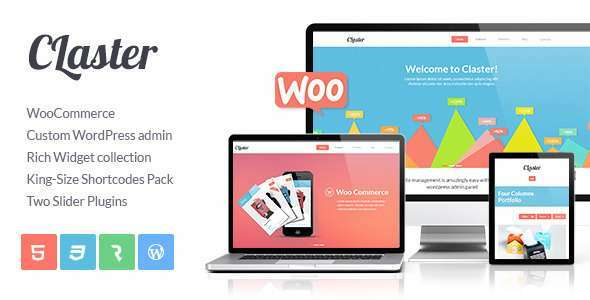 It consists of Woo Commerce integration, 5+ home page layouts, 3 in 1 theme, retina ready, review posts, custom backgrounds and Top-Notch support. 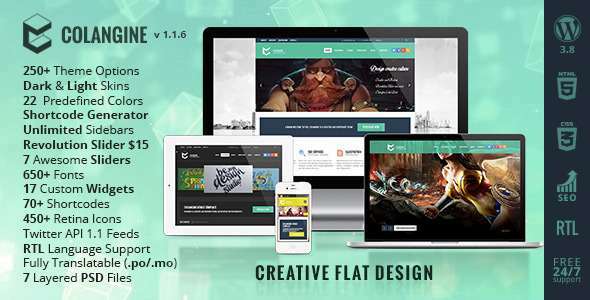 It has 8 post formats, 14 widgetized areas, 16 custom widgets and unique design. It is fully responsive and has HTML 5 Video background Homepage, photo slide show background home page. It is powered by bootstrap. It is touch swipe supported. It has blog page template and portfolio page template. 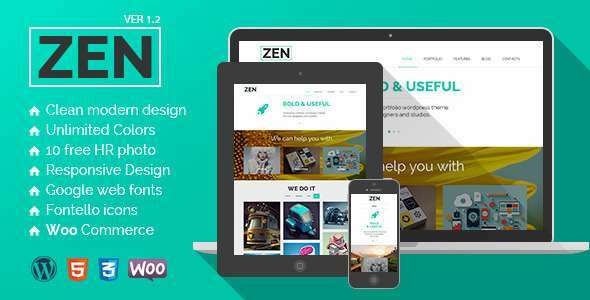 It has 4 style of headers, unlimited colors, multi color theme and theme page. 10 shortcodes, 20 + basic shortcodes, 10 custom widget, 9 page template also included in it.